The cancellation policy is 5 days. The following group types are not accepted by this hostel: Holiday with Friends, Junior / Primary School If you have misrepresented the type of group you are booking for, your booking may be cancelled by the hostel." 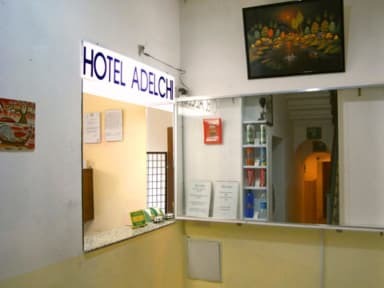 The hotel is situated in a quite nieghbourhood, its relaxing and comfortable and is also located at a distance of only 3 stops of metro (subway) away from the Milan Central Station. You have to take the green line and exit at Lambrate station and then you can easily walk to the hotel. You can reach easily by subway or buses to all the main areas of Milan: The Cathedral, Rho Fiera Milano (For expo visitors) etc. 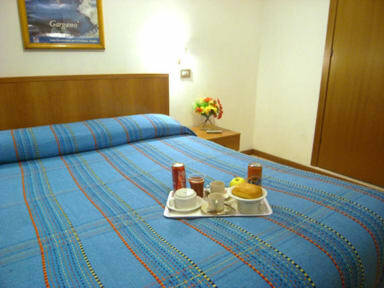 72 hour cancellation policy and check in at 14.30 pm, check out 11:30 am. The reception is available 24 Hours.. The hotel is nice if you're only staying for one night. The shower in our room did not work at all so we had to use the community bathroom on the floor. The staff was very friendly and informative. They help you with directions in how to get to the hotel if you're new in the city. The stay overall was pleasant. Arrived in my car, so was pleased to have parking facilities, even if it was a bit costly (15 Euro per night). Close to local metro, but quite a way out of city centre. Not many shops or eateries in local area, unless you like kebabs or Chinese, but snack/coffee vending machine in hotel lobby. Reasonably clean room, with tidy en-suite. Just what I required for my one night. I would stay here again if I were to visit Milan again. Das Zimmer hat uns ein bisschen geschockt... Wir kamen in das Zimmer, es hatte die nötigste Ausstattung und wir hatten uns natürrlich keinen Luxus erwartet.. Aber wir waren uns nicht sicher ob das wirklich ein DOPPELZIMMER ist... Naja wir haben dann gefragt und es wurde uns gesagt, dass das alte Bett kaputt sei und für eine Nacht ist das ja egal, wenn das Bett so klein ist. 1,30 Meter Bett zu zweit um den Preis ist schon ein bisschen wild..
Staff doesn't speak English. I booked a double room and I got a twin room. I asked to change it and they didn't give me the room, they told me they would come but nobody was there by the time. This is one of the worst hotels. The staff is very poor. They try to take advantage of you. They overcharge exorbitantly. There are no facilities here. The rooms are are ver very small and in poor conditions. It was one of the worst experience i ever had.